We are pleased to welcome Shannon Halgren to this month’s Human Factors and User Experience interview. 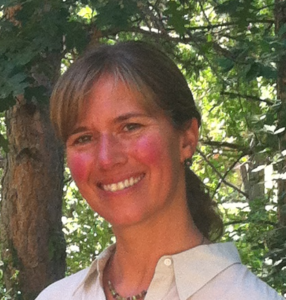 Shannon is the founder and Chief UX Officer for Sage Research & Design, head-quartered in Boulder, Colorado. Based on her extensive experience in the area of product user experience, and in particular her passion for and expertise in UX research, Shannon shares some thoughtful insights. Russ: Tell us a little bit about your background. How did you get your start in UX? Shannon: Sure! knew I wanted to go into Human Factors the day I was introduced to the field as a psychology intern at 3M my senior year in college. I was immediately drawn to this field of applied research and design and its direct application to healthcare and aerospace. I went on to earn my PhD in Human Factors at Rice University. While at Rice, I specialized in Human-Computer Interaction, which is the outdated term for UX (user experience). The internships I had during grad school at Lockheed Martin, Compaq (now HP), and IBM left me well-positioned for a career in UX upon graduation. I was lucky to find UX so early in my career! Russ: What are your favorite projects? What makes those projects stand out? Shannon: My favorite projects are the ones where UX is applied early in the development process through Voice of Customer (VOC) or ethnographic formative research. There’s no substitute for learning what users want and need by talking with them and observing them at work. Projects that start with this type of research are easier to design and are ultimately more successful because the users’ needs are at the core of the design from the ground up. I also love to work on complex, technical products. Some examples of products I’ve worked on over the years include spinal implant programming software, electrosurgical generators, and cloud-based IT products. There’s no substitute for learning what users want and need by talking with them and observing them at work. Projects that start with this type of research are easier to design and are ultimately more successful because the users’ needs are at the core of the design from the ground up. Russ: Are there any challenges that you’ve seen recently within the human factors / user experience industry? Any suggestions on some ways to overcome those challenges? Shannon: It seems like every year the product teams we work with are under more and more pressure to produce a quality product quicker and more efficiently. The result can be the pressure to rush through, or worse, skip UX activities. As a result, we UX’ers need to continually find new ways to fit our processes into the development cycle without significantly slowing it down. Methodologies such as rapid iterative usability testing (RITE) and design sprints have been great additions to the UX toolbox. At Sage, when working with clients on medical devices, for example, we strive for efficiency by streamlining the Human Factors documentation process into a small number of documents and launching validation testing softly to catch any issues before significant time and money is spent. Russ: What advice do you have for user experience practitioners that are new to the field? What skills do you think are critical to master? Shannon: I think the road to being an excellent UX practitioner is paved with both training and experience. While an advanced degree is not always necessary for success, training in some form is needed to learn how to develop and moderate a valid and successful research study and to learn the components of a usable and useful product design. Once the basic UX skills are acquired, every new project is an opportunity to learn and grow. Achieving a great UX is a practice that we are all continually trying to master. And lastly, I think an important concept to understand is that good UX is not achieved in a bubble. UX is a team effort involving the user at the core, but also the product team. One mistake I’ve seen some new UX’ers make is to fight for the right to make all final design and product decisions. This is mistake that only hurts the product and the reputation of the UX’er. There are many skills and ideas that go into a successful product – UX is one of many inputs that must be considered. Learn to be a team player and UX evangelist in equal parts. Through Sage Research & Design, Shannon and her team have helped start-ups as well as established companies like Dell, Medtronic, Old Navy, Intel, Netflix, and eBay create products with excellent design, usability and user experience. Prior to founding Sage, Shannon co-managed the usability group at Marcomedia and founded the usability group at Apple/Claris. Shannon has shared her love of UX by presenting her work at several professional conferences (HFES Healthcare Symposium, UXPA, CHI) and in professional journals and books. She holds a M.A. and Ph.D. in Experimental Psychology from Rice University in Houston, Texas where she specialized in Human-Computer Interaction & Human Factors. Russ is an Associate Professor of Human Systems Engineering at Arizona State University. He also serves as Visiting Professor of Human Factors in the Master of Product Design and Development Program at Northwestern University. Prior to joining ASU, Russ spent 15 years in industry leading human factors research teams at Hewlett-Packard, IBM, Fitch, Big Red Rooster and Lextant. 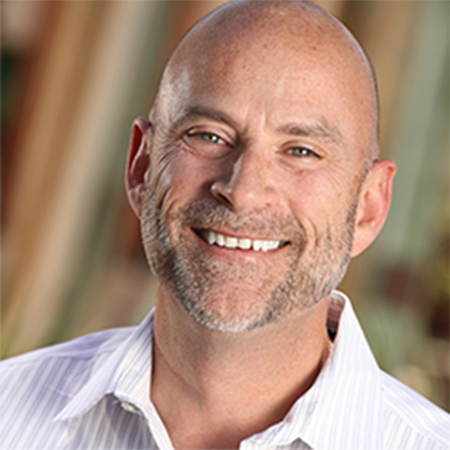 Russ is founder and President of Research Collective, a Human Factors research firm based in Tempe, AZ.